“I was born with this garden in my head.” That’s the philosophy that Karine Dubreuil, perfumer (or “parfumeur” en francais) for L’Occitane en Provence, has used as the base to create four unique fragrances that embody the simplicity and freshness of Grasse, France. 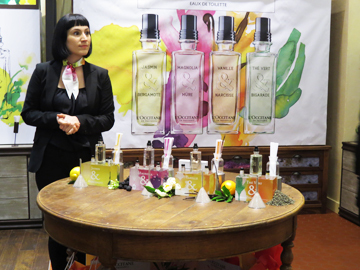 L’Occitane is devoted to creating the purest and natural beauty products with ingredients that nurture the body, and scents that captivate the soul. 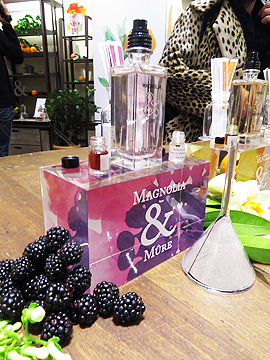 So, we were excited to check out the new fragrance line this spring. Jasmin & Bergamote is a jasmine floral scent, like a fresh spring day, with citric tones. Magnolia & Mure is strong and fruity, warm and velvety. Vanille & Narcisse is warm, brazen and expressive, a vanilla scent with spicy notes of the narcissus flower. The Vert & Bigarade is my personal favourite. It has lively and fresh, reminiscent of a summer day in the courtyard. 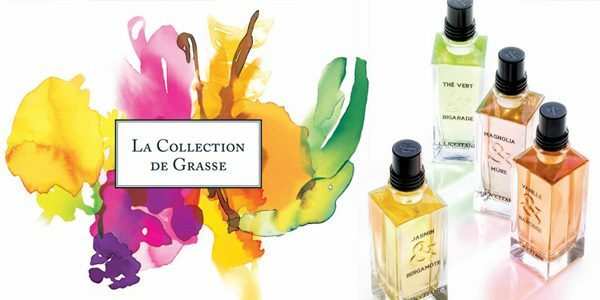 La Collection de Grasse will be available in L’Occitane de Provence stores in May. For more info on L’Occtane en Provence and their products, check out their website.